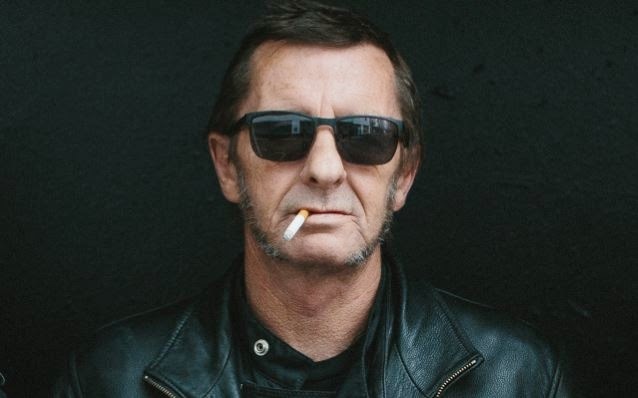 AC/DC drummer Phil Rudd pleaded guilty to drug charges and threatening to kill a former assistant at a hearing in New Zealand's Tauranga District Court on Tuesday. Stuff.co.nz reports Rudd had previously planned to defend two counts of threatening to kill and possession of 0.71g of methamphetamine and 130g of cannabis. The drummer will return to court for sentencing on June 26. Rudd’s lawyer, Craig Tuck, said he would be seeking a discharge without conviction and no conviction had been entered. According to the summary of facts, Rudd had made phone calls to a colleague asking for a former contracted security guard turned personal assistant to be "taken out." The calls were made after Rudd's solo album launch in August last year, "didn't go well". The drummer became angry and fired a number of employees, including his victim. Rudd then offered the associate $200,000, one of his cars, a motorbike or a house, which the associate believed was payment for the request. "This matter was an angry phone call that resulted in police getting a search warrant, believe it or not, for possession of cannabis, own use, and a cellphone,” said Tuck. “They turned up at his home with nine police officers and a dog." It was the second AC/DC lineup change in year, following the retirement of guitarist and band founder Malcolm Young after he was diagnosed with dementia.